With a few days left for last-minute holiday shoppers to flock to the mall, TriMet will detour 10 bus lines out of the mall parking lot at Clackamas Town Center on the last days before Christmas to avoid the congestion. Detoured buses will travel on Monterey Avenue and serve a temporary stop on Monterey near the mall’s parking lot entrance by the movie theater. Temporary stops will be posted in both directions. Routing the buses around the parking lot rather than through it on busy holiday shopping days has helped reduce delays throughout the bus lines. In previous years, buses ended up some two hours behind schedule after getting stuck in the parking lot. While detouring the buses out of the parking lot helps keep them on schedule, it also helps reduce traffic for the shoppers heading into mall. 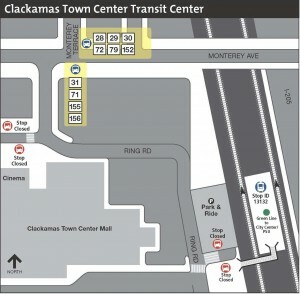 To connect bus riders with the MAX Green Line, buses will serve a temporary stop at the SE Fuller Road MAX Station, about a five-minute ride from Clackamas Town Center. 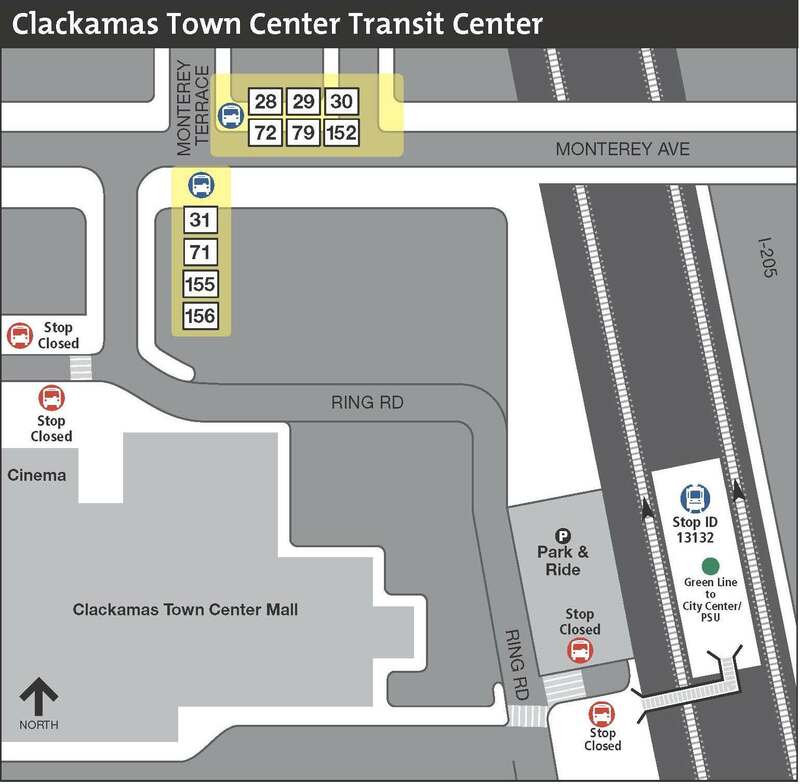 Riders who normally transfer between MAX and buses at the Clackamas Transit Center can do so at the Fuller Road Station or walk about a half mile between the Clackamas Town Center Transit Center and the temporary stop on Monterey Avenue.